Priyanka discovers that Ranveer is a police officer. Anika tries to talk to Shivaay about Tia. Shivaay misunderstands the situation. Later, Soumya tries to explain herself to Rudra. Omkara and Rudra tell Anika that they will clear her doubts before she tells Shivaay about it. Later, Anika and Rudra try to find out about Tia's mystery man. Anika and Rudra notice Tia at the spa and try to flee before she sees them there. However, Anika accidentally gets locked in a sauna room while hiding from Tia! Tia asks Anika why she has been following her. Shivaay confronts Anika, Omkara and Rudra for suspecting Tia. Later, Anika apologises to her. Anika refuses to take Shivaay's help in fulfiling her dreams. Rudra panics when Romi talks of marrying him. Priyanka stops Omkara from taking drugs. Omkara threatens ACP Ranveer for troubling Priyanka. Rudra escapes from Romi's house and gets back home to Soumya. Meanwhile, Anika notices Tia with someone and decides to tell Shivaay. Later, Tej confronts Omkara about his future after he starts taking drugs again. Rudra is surprised at seeing Romi in his room after getting up and lies to her that he is going abroad. Meanwhile, Priyanka tells Ranveer to stay away from her, while Anika tries to find out more about Tia's affair. Omkara is depressed when he learns that he is the cause of a boy being orphaned. Meanwhile, Anika overhears Tia's conversation on the phone and is determined to find the truth. Anika is anxious to solve the mystery of Tia's lover. Meanwhile, Rudra and Soumya, under the influence of alcohol, find themselves in a delicate situation. Will they be able to get out of it? Shivaay is shocked to see Omkara unconscious and learns that he has taken drugs. Later, Rudra and Soumya realise that they are married! Rudra and Soumya decide to forget about their marriage and try to find a way back home. Shivaay apologises to Omkara for not being there for him in his time of need. Later, Tia tells Shivaay that they should find a match for Anika. Omkara has an announcement for the Oberois. Meanwhile, at the puja, Tia feels jealous seeing Shivaay's behaviour towards Anika. Anika goes to the station to meet Shivaay's childhood friend, Daksh. Meanwhile, Rudra tells Soumya that they should avoid each other. Shivaay is jealous to see Anika and Daksh together. Meanwhile, Rehaan asks Soumya to marry him. Later, Riddhima makes Omkara listen to Tej's proposition. Daksh claims to be in love with Anika and threatens dire consequences if Shivaay doesn't ask Anika to marry him. Later, Omkara reads a document and confronts Tej. Omkara gets angry with Tej and Riddhima for deceiving him. Meanwhile, Shivaay tries to stop Daksh from proposing to Anika, but in vain! Daksh tells Shivaay that Anika has refused to marry him. He insists on Anika accompanying him to a show. Later, Anika finds herself locked inside her house. Why would anyone do that? Shivaay drops Daksh at the pub before going to meet Anika. Meanwhile, Anika finds a shocking clue related to Daksh. Is Daksh what he seems to be? Anika is surprised to see Shivaay apologise to Daksh on her behalf. Later, Anika finds proof against Tia! Tia finds out that Anika has proof against her, but she deletes the incriminating proof. Later, Anika hears Shivaay talking about her. Anika is attacked by an unknown assailant, but Daksh arrives in time and saves her. Later, he tells Anika to analyse her relationship with Shivaay. Tia gives a tip to Anika. Later, Shivaay dances with Omkara and Rudra at the sangeet ceremony. The Oberois celebrate Shivaay's sangeet. Meanwhile, Daksh proposes to Anika once again. What will be her answer this time? Daksh keeps a close eye on Anika and vows to separate her from Shivaay. Later, Daksh tells Shivaay about his plan to defame her. What will Shivaay do now? Shivaay is shocked to see Anika in Daksh's room. He calls a press conference and prepones his marriage, leaving Tia shocked. Later, Daksh lies to Shivaay about Anika. What does he say? Daksh lies to Shivaay that Anika has demanded money from him. After Romi tells Soumya about Rudra's whereabouts, she confides in Omkara. Will they be able to rescue Rudra? Anika insists that Shivaay express his feelings for her, but in vain. Later, she realises that Tia is unable to hold on to her secrets! Elsewhere, Omkara and Soumya rescue Rudra and warn Romi. Robin warns Tia that he has come to stop her from marrying Shivaay. Later, Robin reminds Tia about their relationship. What is this mystery surrounding Robin? After listening to Anika's advice, Richa refuses to marry Shivaay, which makes him furious. 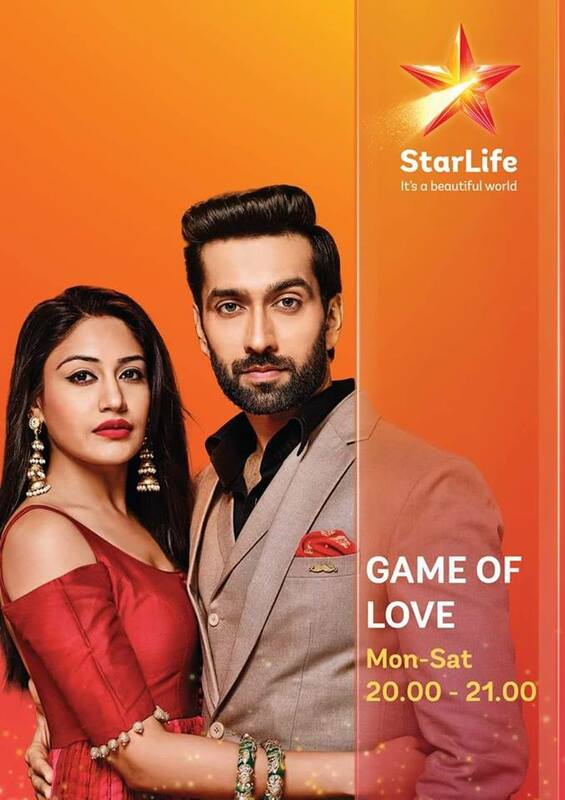 But what made Anika slap Shivaay? Shivaay forces Anika to come to the wedding, but she makes an escape. Later, Shivaay asks her to marry him. Will she agree? Anika is miserable at the thought of marrying Shivaay! Shivaay warns Tia's mother against revealing the truth. Will Shivaay and Anika get married? Omkara suspects Shivaay to have married Anika and asks Dadi to carry out the munh dikhaai ritual for Tia! What will Anika do now? Shivaay reveals to his family the reason why he married Anika. Later, Shivaay gets a ransom call to free Tia. Is she really kidnapped? Dadi tries to make Shivaay realise his mistake. Will he? Did he marry her only to save his family's honour? Dadi asks Anika and Shivaay to take up their responsibilities as husband and wife post marriage. Upon Dadi's insistence, Shivaay takes Anika to the Oberoi mansion, where another shock awaits her. Omkara questions Shivaay's decisions. Tia tries to humiliate Anika, but she maintains her dignity. Later, Priyanka makes a shocking revelation to Ranveer. Shivaay refuses to accept Anika as his wife, but Dadi insists that they stay together. Meanwhile, Ranveer confides about his sister's accident to Priyanka. Pinki refuses to accept Anika as her daughter-in-law. Meanwhile, seeing Shivaay and Anika do a post-marriage ritual, Tia challenges Anika! Tia conspires to ruin Shivaay and Anika's post-wedding rituals. She provokes Shivaay against Anika. He pushes Anika into the pool when she refuses to apologise to Tia. Tia asks Shivaay to throw Anika out of the house. Later, Shivaay carries Anika to his bedroom on finding her ill.
Shivaay surprises everyone by gifting the divorce papers to Anika. The Oberois are shocked! Later, Priyanka finds Ranveer's sister in coma. Omkara asks Anika's about her motive behind the wedding. Later, the Oberois are shocked to learn about Shivaay's misdeeds. Shivaay feels dejected when Om and Rudra avoid him. Anika makes the Oberois realise Shivaay's love for them. Later, Om and Rudra apologise to Shivaay. Shivaay tries to thank Anika for uniting him with his brothers. Later, Anika learns that Shivaay has enrolled Sahil in the best school of the city. Anika sees Tia sneaking out and follows her with Omkara and Rudra. They find her celebrating her marriage anniversary with Robin! Shivaay makes an accusation against Anika. While Anika is attacked by her stalker, Tia vows to destroy her. Daksh goes to Oberoi Mansion and enquires about Anika. Later, Shivaay learns that Daksh had lied about the money. But will it be too late for Anika? Shivaay realises that Daksh had lied to him. Meanwhile, Daksh tortures and threatens to kill Anika. Can Shivaay save her? Shivaay assaults Daksh for lying about Anika and trying to murder her. Shivaay saves Anika but will she be able to trust him again? Shivaay makes an effort to reconcile with Anika. Later, Shivaay is called for an emergency as Tia threatens to commit suicide. Why? Tia's mother forces Shivaay to marry Tia and accept the unborn baby. Is it Shivaay's baby or is it one of Tia's traps? Shivaay receives the DNA report, but is not entirely convinced by the result. Tia makes an announcement to the media. How will Anika help Shivaay?